There is a saying that I frequently use, “every thing is easy as long as you know how”. I am not sure where I heard it but it makes a lot of sense. There is another saying that fits nicely with the first, “when you are a hammer every problem looks like a nail”. Ok enough with the sayings but just think about those two saying for a minute and you will see the problem with most training on the web today. Many subject matter experts will come at the subject that they understand in the same way and dismiss confusion as stupidity because they are too close to the subject. They have very good reasons for this approach, reasons that they can for the most part articulate. The problem is that for the most part they do not have the ability to see the issue, subject or problem from another persons perspective. Another problem that I see all the time is that if I know how to create documentation I end up taking the same approach for training. This is a common approach to nearly all tasks and that is the reason that the first cars look like horse drawn carriages. That is what the designer understood. The word visionary means something different to me than the popular or widely accepted definition. When I think of a visionary I think of someone with the ability to see or imagine from another persons perspective. I am not sure if that is the correct way to express that idea but it is important enough to try again. If I can under stand a customers concerns, needs, requirements, etc… that would make me a visionary. All to often you will find a visionary that has the ability to see an issue from one perspective but not another. For instance you might find a visionary that understands a developers concerns, interests and issues but has no clue what a marketing manager needs or requires. This problem is compounded by timing (fiscal quarters, delivery schedules, etc…). I can hear the response now, “I do not have time to make the changes to this training, our delivery date is next week”. To sum up this short rant, please do not point to reorganized documentation and call it training. In case you missed it Adobe announced Flash Media Server 4 . This is a significant release for a number of reasons. The first reason is that many corporate customers have been interested in Flash video but were not able to take advantage of it with out support for IP Multicast as this technology was a mandate from their IT organization. 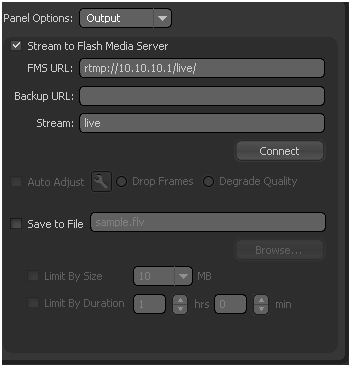 In other words this update for the Flash Media Server to version four gets you a 64bit architecture, Absolute timecode, faster seeking, trick mode playback (fast motion, slow motion, and frame stepping), intelligent reconnect, faster switching for RTMP Dynamic Streaming and IP Multicast Support. That is a short summary of the possibilities that you get with the interactive edition of the Flash Media Server but that was not the only announcement. Adobe also announced Adobe® Flash® Media Enterprise Server 4. If you are not familiar with RTMFP that would be a good place to start. This peer protocol will allow you to take advantage of users / viewers upstream bandwidth to broadcast video, audio and data in your application and now the Flash® Media Enterprise Server 4 can participate in those groups. So consider the limitations of a peer broadcast. First you will only have access to the one video codec that can encode that is part of the Flash Player and that is Sorenson Spark. If you are familiar with Sorenson Spark you know that the quality leaves something to be desired. When you consider that the Flash® Media Enterprise Server 4 can act as a peer using RTMFP you now have access to all of the varied video formats that can be broadcast using the server (On2, H.264,…). It is also important to note that you are not limited to just video when you are using Peer Assisted Multicast (RTMFP) you can include data as well. 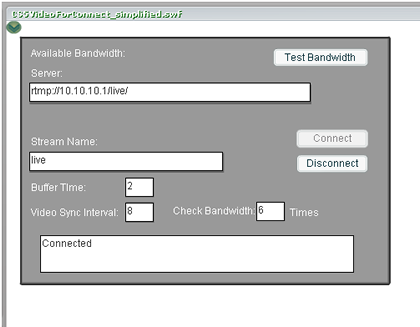 These applications can include interactivity unlike IP Multicast. Of course there are considerations that include additional latency based on the number and location of peers in a group but the possibilities are amazing. Just consider an internet based application that includes video and interactivity with 10k concurrent users. With out a peer solution you would have to invest in a significant number of servers as well as a significant amount of bandwidth. With the Flash® Media Enterprise Server 4 you could address both server and bandwidth requirements with a small fraction of what it would take with a Unicast solution. The cost savings will be significant.